Salesforce and Google have announced a partnership to make selling using Salesforce even smarter. 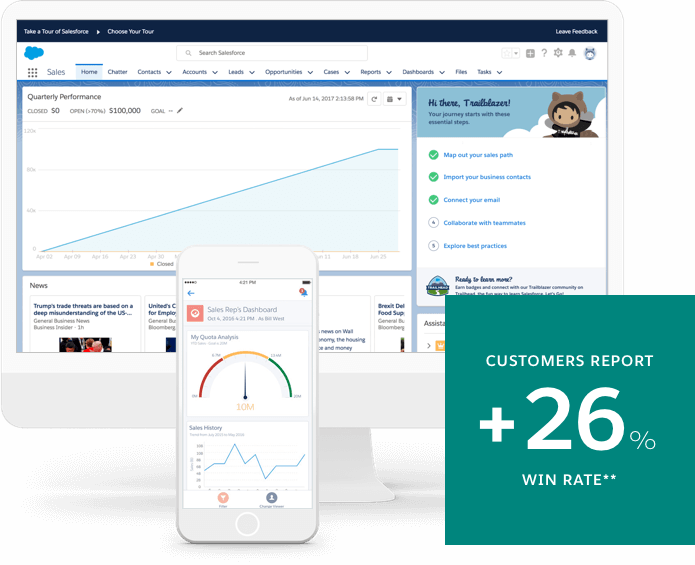 With the integration of G-Suite and Salesforce, customers now have the advantage of seeing all their data in one place. All relevant information like Google contacts, accounts and opportunities is only one click away. Customers can also get the benefit of automatic data capture from Gmail and Google Calendar directly into the Salesforce CRM Platform. The promotional offer released with this announcement includes 3 free months of G-Suite access with a new customer signup for salesforce essentials.